Congratulations to Jarred, Tomorrow, Tom and Toby (pictured below) as the 9/10 Year Old Boys State Freestyle Relay Champions for 2018, beating the previous state record set in 2002, with a time of 2.22.19. The boys swam impressively as a team and should be extremely proud of their outstanding achievement. Toby also won a gold medal in the 9/10 Year Old Boys Freestyle event with a time of 33.48 and a silver medal with a time of 41.81 in the 9/10 Year Old Boys Backstroke. We are all very proud of their success! 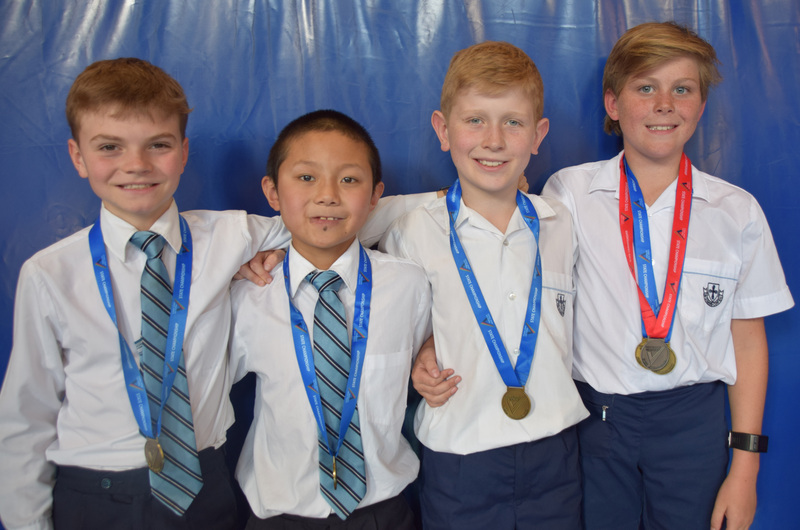 Congratulations to all our swimmers who participated in the recent South Yarra District Sports Association swimming carnival - the boys were 1st and the girls were 2nd in the aggregate sections. 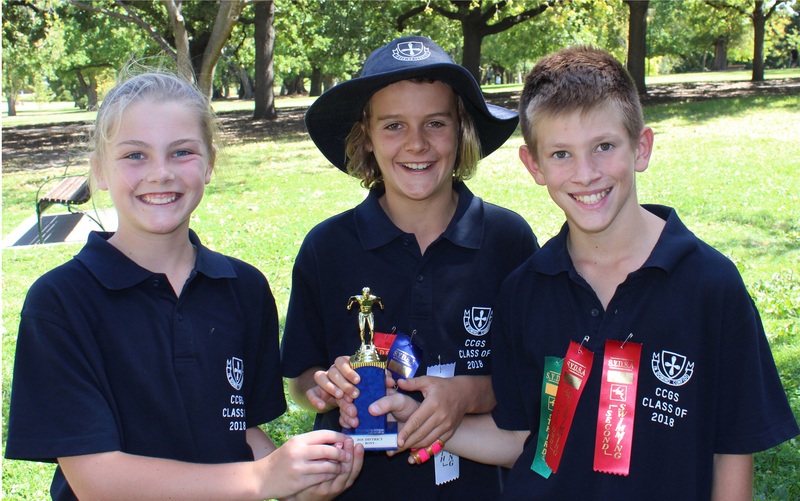 Our swimming captains (below right) are pictured proudly holding their trophy.